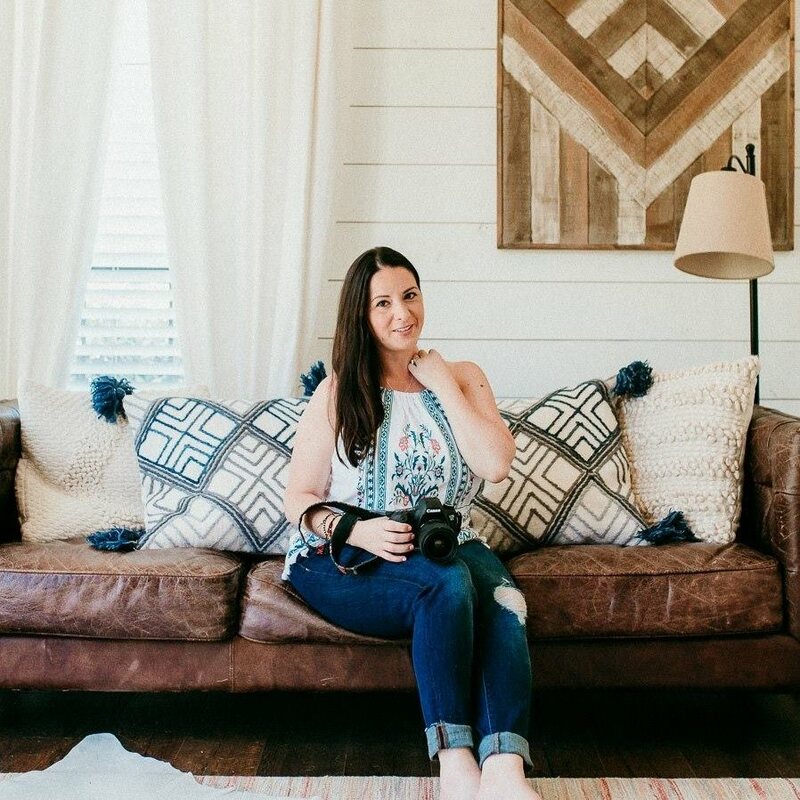 With two little boys running around our home, things can sometimes get a little chaotic around here! 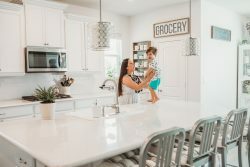 The time between dinner time and when the kids head off to sleep is one of the most hectic times of the day for us. 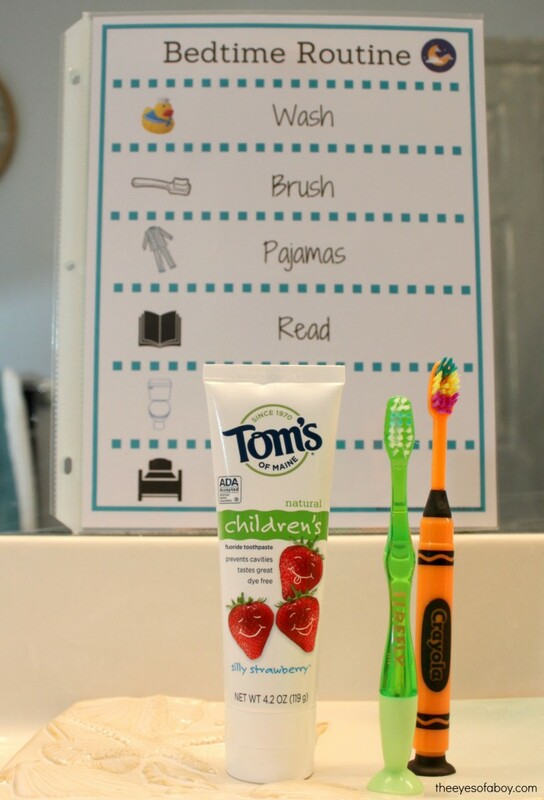 In an effort to naturally encourage the kids to want to be more involved in their bedtime routine (instead of dreading it), I wanted to create a fun way for them to look forward to that time of the day. I also believe that if they know what to expect each night it will make things go a lot smoother for everyone in our home. They have a “routine” that they do with their Daddy which involves going outside to let the dogs out, playing in the yard for a bit or driving around in their ride-on truck. Once they come back inside from helping with the dogs, we needed a bit more encouragement to help get them ready for bedtime. So far, it seems to be something they like. I made a fun printable chart that the boys can use to keep track of the tasks that make up the routine. I put it into a sheet protector and taped it to the kids’ bathroom mirror. Then, they can use a dry erase marker to check off the routine tasks as we go along. This appears to be their favorite part! Their other favorite part of the bedtime routine is brushing their teeth! 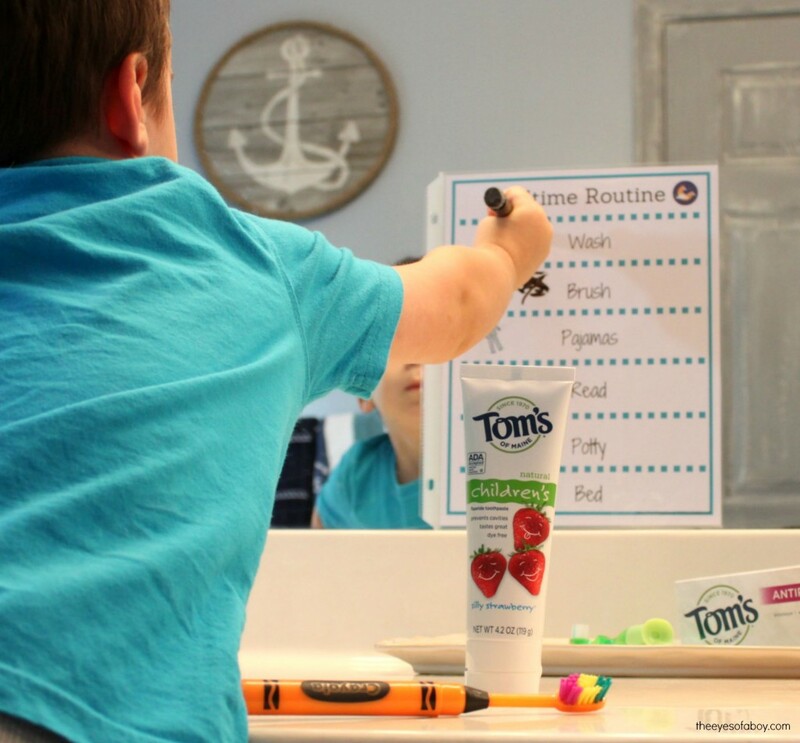 Ever since they were young enough to brush their teeth we have been using Tom’s of Maine® Silly Strawberry® Anticavity Toothpaste. 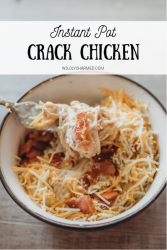 It’s important for me to feel good about what health products my kids are using, and Tom’s of Maine does not contain any artificial colors, flavors, fragrances, preservatives, animal ingredients nor do they do any animal testing. Which means that I feel very comfortable about my babies using it! Plus, they seem to really like it, too! After brushing their little chompers, we put on pajamas and all go to Mommy and Daddy’s bed to read a book together. 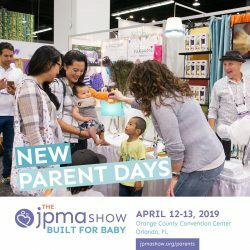 This is something we have tried to do since the kids were babies, and they really enjoy it. 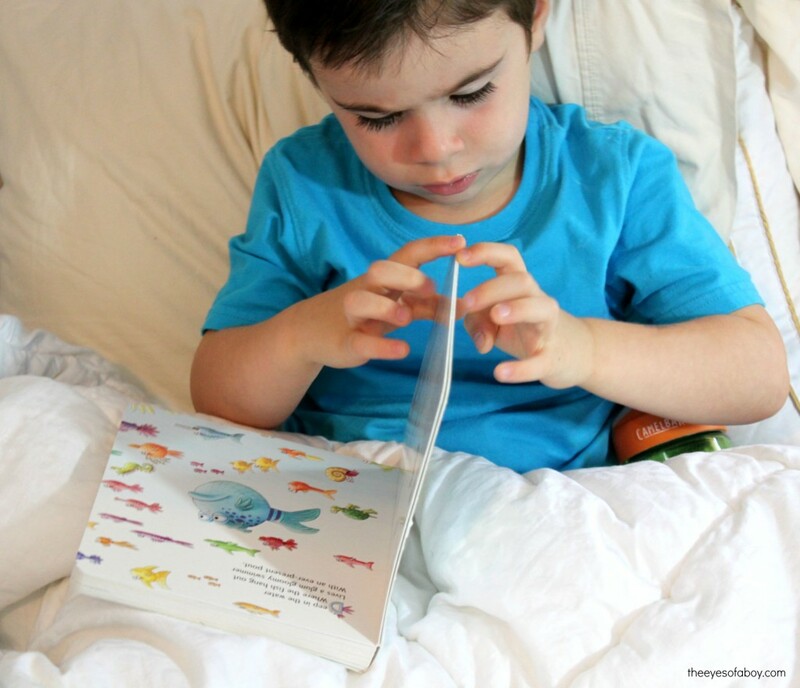 One of our current favorite books is The Pout-Pout Fish and the boys also love to read Goodnight, Goodnight Construction Site if we can squeeze in 2 books. The last steps of the kids’ bedtime routine is to use the potty one last time (for our older son who was recently potty trained), and then it’s off to bed! 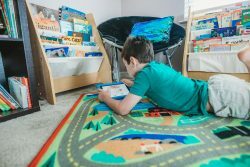 Would you like to create a bedtime routine for your kids that naturally encourages them to get involved in the process? 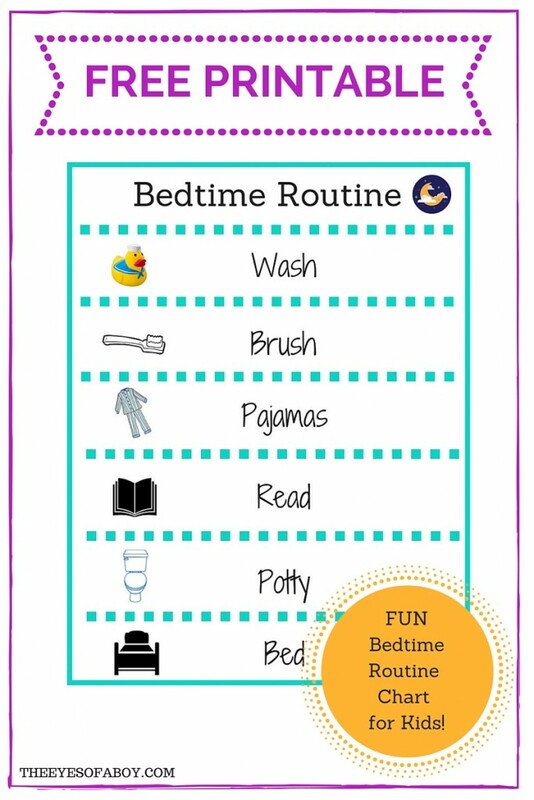 Don’t forget to download your copy of this super cute (and FREE) printable Bedtime Routine Chart for Kids by clicking here or on the image below. You can conveniently find Tom’s of Maine toothpaste and other natural products (such as deodorant, bar soap, and mouthwash) at your local Walmart. On September 19th, 2015 there will demos taking place at many Walmart stores, where you can grab some Tom’s of Maine free samples and coupons. Please check this list to see if there’s a demo at a local Walmart near you. What natural choices do you want to make for your family each day? I just love your new bedtime routine schedule just terrific!